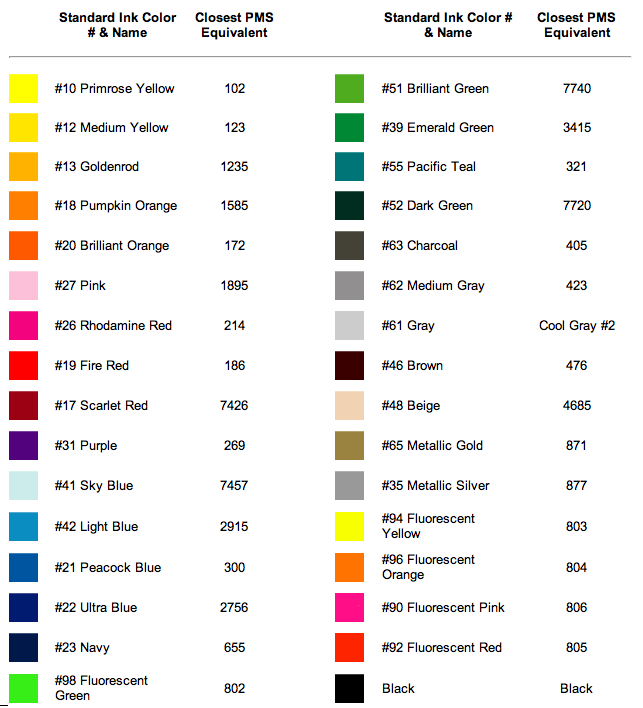 This flexo color guide should be used as an approximate reference only. For a more accurate match of our stock colors for full color stickers, reference a Pantone Coated color chart or contact us for a stock color swatch sheet. Other spot flexo colors can be matched for $45. Perfect color matches cannot be guaranteed. Four color process digital printing is also available for full color graphics and when multi color designs need no precise color matches. Individual monitors will display these color swatches differently. For most accurate representation of flexo ink colors review in a physical Pantone Color Guide. Colors will not print accurately (and in some cases can not be used) on colored papers and materials other than white.